The navigation links are hidden to reduce clutter. Just hover over the menu icon or the site title to reveal them. Both the banner image and the header respond to scrolling the page. The header will shrink to become less obtrusive when you have scrolled a certain distance down the page. And the banner image will fade out and move up in relation to the distance you've scrolled. 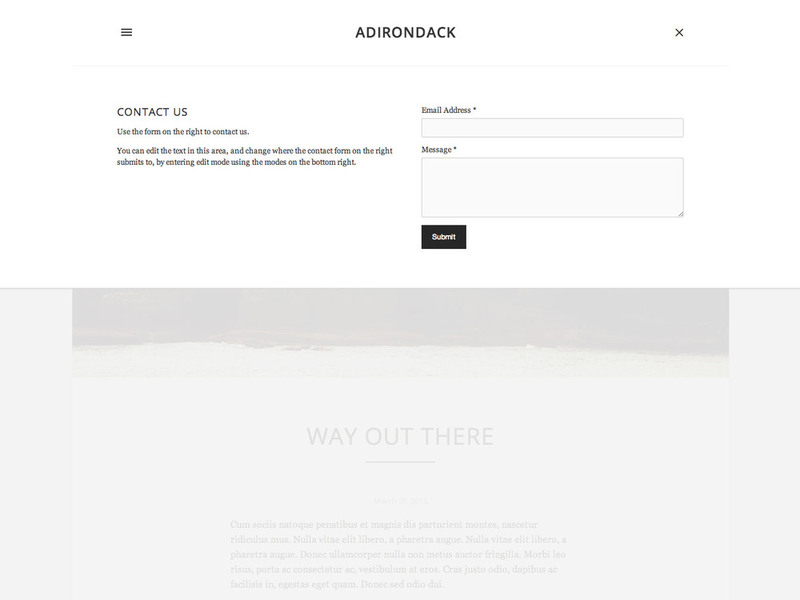 Adirondack has a built-in contact form or location info and map, opened with the icon in the upper right. 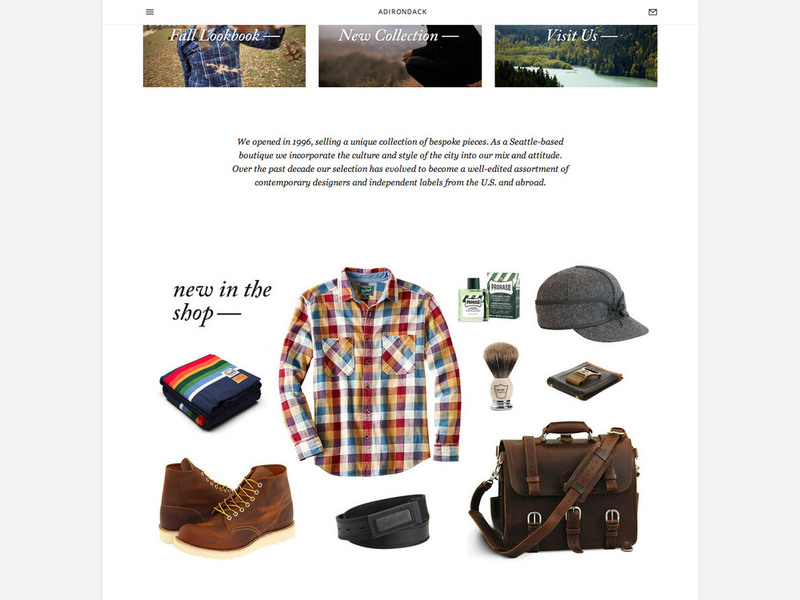 You can choose which to display (or to display neither) with the Header Dropdown option in the Style Editor. The location dropdown uses an auto-generated google map image. Sets the height of the banner image on all devices except phones. Toggles the drop shadow around the content area. Toggles the display of the page titles and descriptions. Sets the decoration on the page titles and blog post titles. Nav will always show if this is selected. 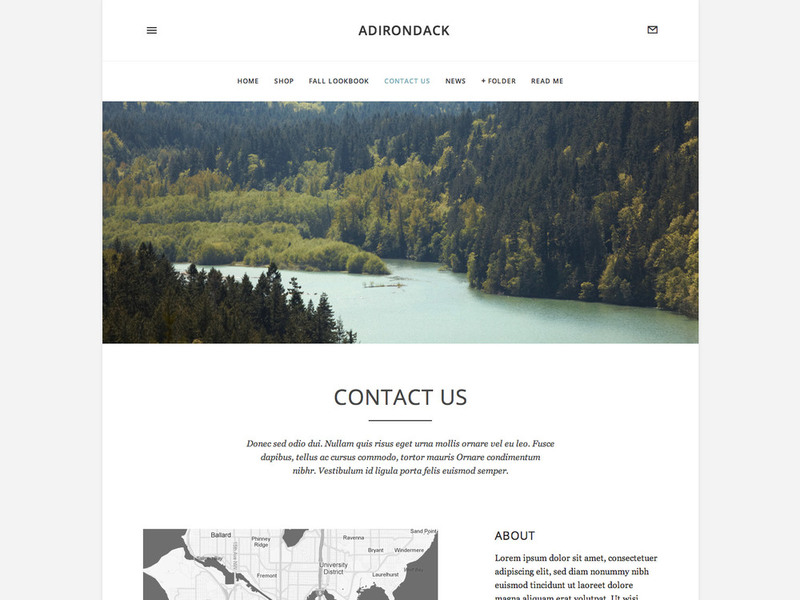 Toggles the borders around the header, folder navigation, and footer navigation. Sets the text width in the blog: narrow or normal. Toggles the display of the author name on blog posts.